During this month of spring, Jews celebrate the exodus from <?xml:namespace prefix = st1 ns = "urn:schemas-microsoft-com:office:smarttags" />Egypt, from slavery to freedom, while Christians celebrate the Messiah Jesus rising from the dead. Let us join the many pilgrims arriving from all over the world during these special days, as we explore commonalities and differences between these two religions. 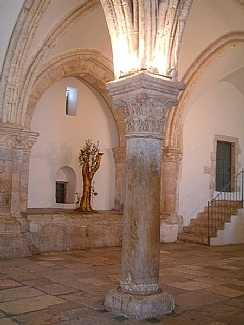 The tour route includes Mount Zion, the Jewish Quarter, and the Church of the Holy Sepulcher.